Lucky bamboo brings good luck to the bearer. 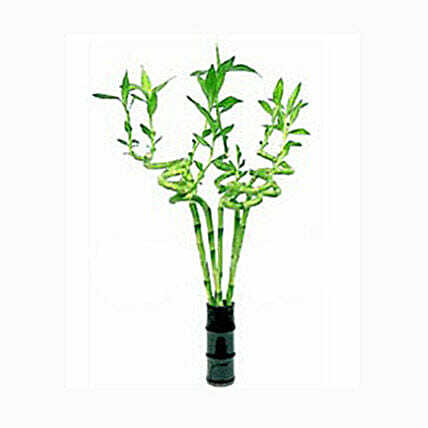 Send an enduring symbol of your love and good wishes with these sticks of heart shaped lucky bamboo plant. Create the perfect hearts to send your love in a unique way. The image displayed is indicative in nature.Actual product may vary in design as per the availability. Keep it away from direct sunlight.Avoid placing plants in trouble spots, such as near heat or air conditioning ducts.